A two day symposium on the future of football players opened in Yaounde on Wednesday May 9, 2018. Playing football is a profession many young Cameroonians will like to choose because of the fame and glory that come with it. However, the future is usually bleak for a majority of famous footballers. The retirement is sometimes marked by misery denounced by many voices. It is for this reason that a two-day symposium on Career Transition of the Footballer opened in Yaounde on Wednesday May 9, 2018. Organised by the National Football Academy (ANAFOOT) the symposium brought together former footballers, footballers, promoters of football clubs, former football icons, football experts, sponsors and other invitees. Speaking at the opening, the Minister of Sports and Physical Education, Bidoung Mkpatt said the symposium is in line with the objectives of the previous meetings organised by the ministry on the topic of career transition of footballers. He said it is taking place at a time when Cameroon is preparing to host the 32nd edition of the Africa Cup of Nations. He used the occasion to hail some former footballers who have been successfully reconverted after their football career like Bernadette Anong, Patrick Mboma, Bell Joseph Antoine and Thomas Nkono, among others. 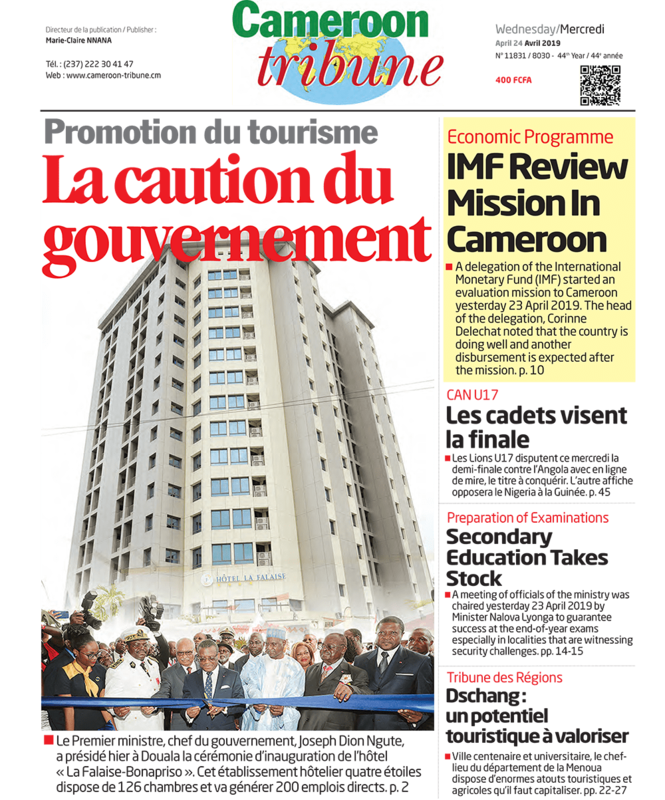 Bidoung Mkpatt assured them that government will bring support when need be to all initiatives susceptible to ensure that Cameroonian sports men and women in general and footballers in particular get a harmonious career transition. Earlier, the General Manager of ANAFOOT Carl Enow Ngachu said the Division of Training in Football Professions of Anafoot would like to put into concrete action this career transition through practical initiatives inscribed in its training programmes. For two days the participants were edified on career transition and video analysis, the transition process from football to another lucrative activity, match analysis football experts. They also had an opportunity to listen to a presentation by former FC Barcelona and Arsenal striker, Thierry Henry, who had a brief stay in the country for another event.